Obituary for Leonard Zakrzewski | Stone Funeral Home, Inc.
Leonard Zakrzewski, 90, passed away, on April 1, 2019, from natural causes. He was born on April 29, 1928, in Detroit, Michigan, to John and Martha (Organk) Saksewski. Leonard grew up in Boyne Falls, he also loved to garden, work in the woods, and work on the farm. Later on in life Leonard married Theresa (Wheeler) Zakrzewski; they had two daughters Sherry and Debbie. Leonard is survived by his Brother, Larry Zak; Grandkids, Ashley Whisker, Joshua Carson, and Sean Carson; and great grandkids, Keegan Whisker, Morgan Whisker, Daniel Carson, Patrick Carson, and Jacek Carson ; and many nephews, cousins, family, friends, and very close cousin Walter. He is preceded in death by his parents; wife Theresa; and two daughters Sherry and Debbie. 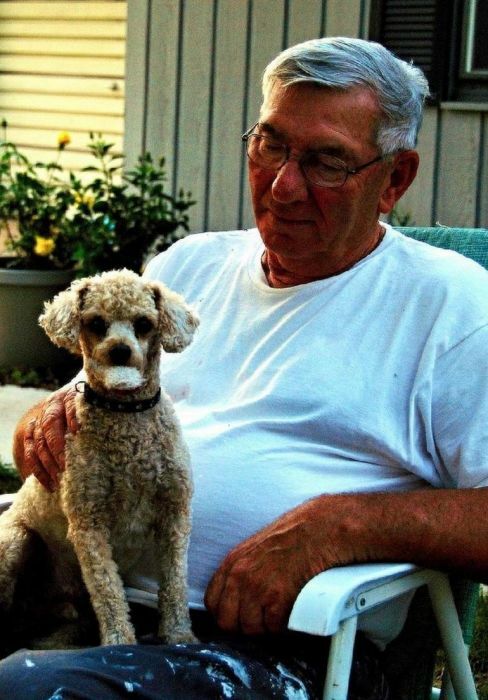 Leonard worked at the Charlevoix County Road Commission, as a shop foreman and mechanic, until he retired after many years on the job; he then went on to serve as the Boyne Valley Township supervisor and zoning administrator. He also started and developed the Boyne Falls Trailer Park in the early 1960's. One of Leonard's hobbies was also making wooden pallets in his barn with his wife Theresa, and he also loved working and growing his garden every year. He was also grand marshal of the Boyne Falls Polish Festival in 2007. The graveside funeral service will be held 12:00 noon, April 10, 2019 at the Boyne Valley Township Cemetery with Pastor David Behling officiating. A Luncheon will follow at the Boyne City United Methodist Church. Memorial donations may be directed to the family C/O Ashley Carson.